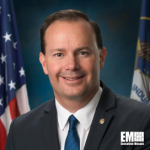 Sen. Mike Lee, R-Utah, has presented a bill that would facilitate the compilation and submission of a report that will cover the common defense contributions of allied countries. 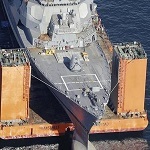 The Allied Burden Sharing Report Act of 2018 would obligate the Defense Department to annually submit an extensive record of military support from agreements and partnerships such as with NATO and with Australia, Japan, New Zealand, South Korea and the Gulf Cooperation Council countries, Lee’s office said Thursday. The report would help Congress oversee the use of national military and defense funds and would provide insights on the return on investments from the U.S.’ global alliances, Lee said. Lee also suggested the exploration of the expansion of the county’s commitments on mutual defense agreements. The armed services and foreign relations and affairs committees of the Senate and the House will be the recipients of DoD’s annual reports.